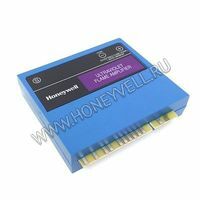 Усилитель сигнала пламени Honeywell серии R7849 IR в наличии на складе, доставка по России. Solid state plug-in amplifiers that respond to flame detector inputs to indicate the presence of flame when used with 7800 SERIES relay modules. 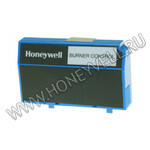 Flame failure response time of 0.8 or 3.0 seconds. Flame signal strength ranges from 0.0 to 5.0 Vdc. Plug into 7800 relay module through printed circuit board edge connector keyed for proper orientation. Flame signal test jacks to measure amplifier flame signal voltage. Color-coded labels identify flame detection type. Dynamic Self-Check Amplifier test the detectors and all electronic components in the flame detection system 7800 SERIES relay module locks out on safety shutdown with flame detection system failure. 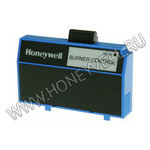 Compatible with existing Honeywell flame detectors (order separately). 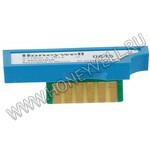 Вы можете купить усилитель сигнала пламени Honeywell R7849 IR, сделав заказ через корзину интернет-магазина.